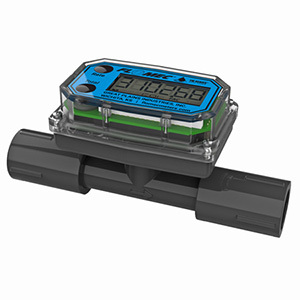 FTB690 Series turbine meters with microprocessor-based electronics offers a durable, compact, high-precision fluid measurement device, with total and rate indication. Information is clearly displayed on a large 6-digit liquid crystal display with only 2-point floating decimal for totals from 0.01 to 999,999. All operations are easily performed with only 2 buttons. The basic unit and display are powered by 2 lithium batteries (included), providing up to 5 years of use. Cumulative total, batch total, and rate of flow are standard. A fifteen-point field calibration curve can be stored in memory. The FLSC690-BATT is the replacement lithium battery for the display electronics. Batteries provide 9000 hours of use. 참고: Comes complete with two 3V lithium batteries and operator's manual. For 5-point NIST traceable certification, add suffix "-NIST" to model number.